If you are customizing the installation, you might want the setup program to include some of your customized files in the installation. This is now possible. You can have the setup program copy any number of files and sub folders to the folder where the program is installed and other special folders. 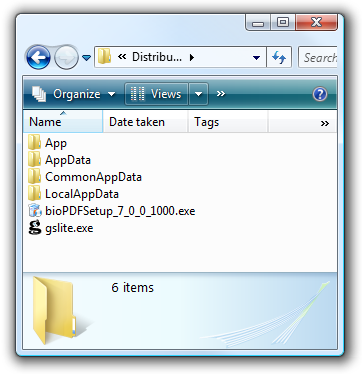 The folder where the program is installed is called the application folder and is typically located in C:\Program Files\bioPDF\PDF Writer. 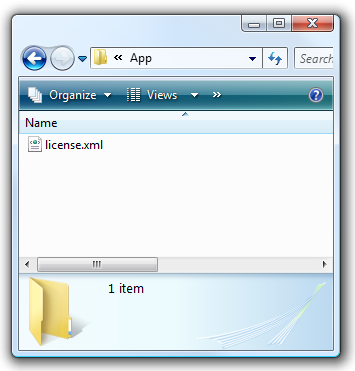 Other special folders include the location for common application data, the user's roaming application data, and the user's local application data. Files for each destination must be placed in a special folder next to the setup program. Each special folder name is shown in the table below. Configuration files can be distributed during installation. Please note that configuration files must be located in a subfolder named PDF Writer\printername where printername must be replaced by the name of the printer you are installing. Remember that you can change the name of the installed printer by using the /PRINTERNAME command line switch on the setup program.